After a weekend of odd posts and sometimes explicit links showing up on its Facebook page, Silverwood Theme Park has taken the power back. Starting Saturday, the park's social media page was plastered with some out-of-the-ordinary posts. The posts got so bad that Silverwood eventually made a new Facebook page to explain the situation to visitors. 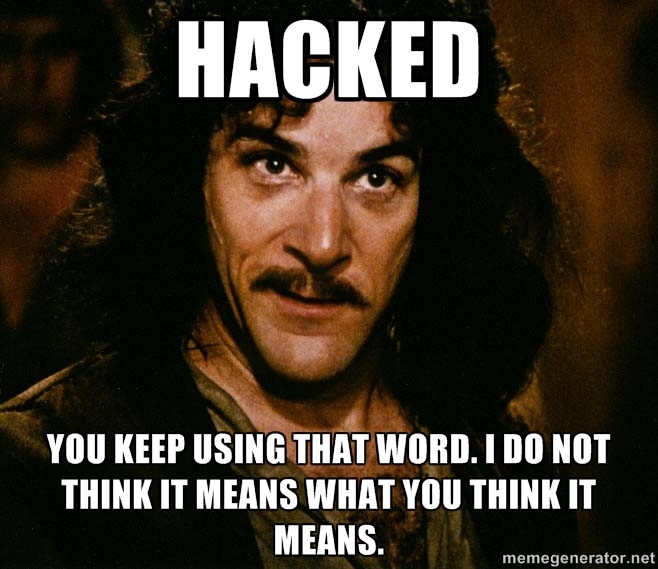 To be clear, nothing was "hacked." That word gets thrown around too much. What likely really happened is that they had a really obvious password like "silverwood1" or something similarly stupid, and someone figured it out. Or it was on a post-it note behind a reception desk. Most of the time, when someone says their Facebook was "hacked", they mean they left their page open and someone else got in while they were still logged in. Are you saying "hijacked" would have been more appropriate? Sure. "Hack" implies some kind of skilled attack on an exploit in a system. People aren't hacking Facebook, they're guessing weak passwords. Real hackers H4X0R the GibSoN! according to the dictionary, this does fall into the realm of "hacking." hacking - using a computer to gain unauthorized access to data in a system. So OP is technically correct. The best kind of "correct." Unless somebody hacked the dictionary. Dictionaries are not authorities on anything technologically relevant. This is not hacking. But I can use clothes pins in my refrigerator to keep my glass beer bottles from rolling all over the shelf. I'm a hacker! There's a HUGE difference between "common usage" and the technical jargon inside a particular field. I actually witnessed a hack once. All of his jokes were obvious and worn-out. How about hack a Shaq? Some of these definitions just can't hack it.